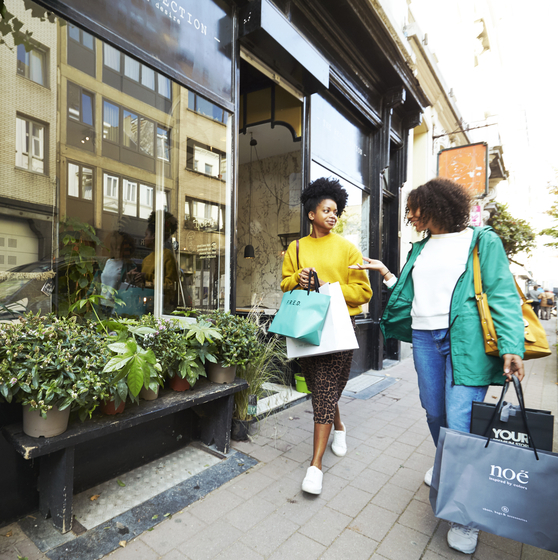 Whatever your personal style, Antwerp has it all - with elegant pieces from large fashion houses, trendy boutiques and small, independent stores, to ground-breaking concept stores. And it's all within walking distance in a city that is both hip and historic, cool and classic, trendy and traditional. In addition, you can also enjoy the numerous restaurants, cafés, museums, sights and hidden places. 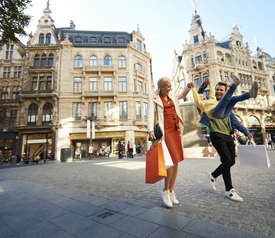 This shows that shopping in Antwerp is more than just a shopping trip. The Antwerp Six (a group of fashion designers who graduated from Antwerp's Royal Academy of Fine Arts between 1980–81) conquered the international fashion world in the eighties and placed Antwerp on the fashion map. Meanwhile, many designers followed in their wake. And now, The Fashion Department of the Royal Academy of Fine Arts in Antwerp attracts talent from all over the world. This diversity is also reflected in the shopping on offer. Where better to immerse yourself in products from Antwerp designers than in their own flagship store, which hosts Dries Van Noten, Ann Demeulemeester, A.F. 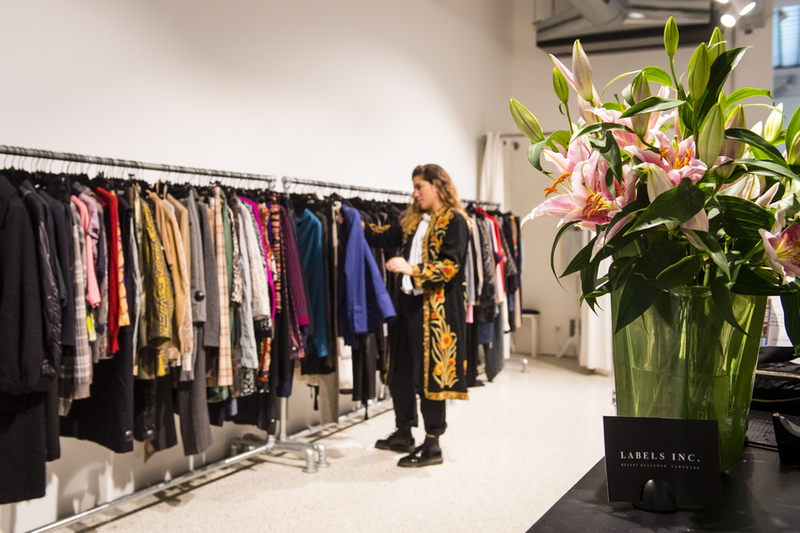 Vandevorst, Christian Wijnants and many more young designers. In Antwerp, you can shop in a gold-filled banquet hall (Stadsfeestzaal aan de Meir), in an old bank building (Verso), in a former printing shop (St. Vincents), as well as in a real palace (Palace op de Meir). 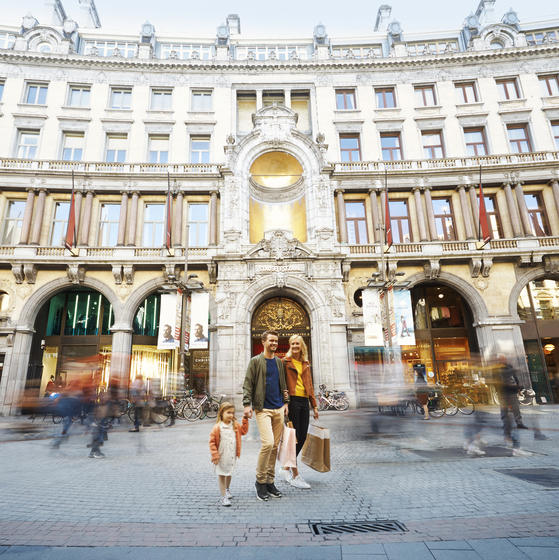 We are not exaggerating when we say that shopping in Antwerp is a real experience. The historic centre is characterised by intimate, winding streets, where lovers of vintage will be overwhelmed with an infinite range. The Kloosterstraat, with its large variety of antique, vintage and second hand wares is highly recommended. While the Wolstraat and Lange Koepoortstraat add their charm with old books and remarkable art objects. De Meir is Antwerp's prestigious and busy walking/shopping boulevard. Many large, international chain stores can be found in the impressive buildings from the 18th and 19th century. Be sure to visit the Stadsfeestzaal, an exclusive shopping centre with a beautifully restored decor. In the chic Schuttershofstraat and surrounding streets, one big brand follows the other: Hermès, Jimmy Choo, Louis Vuitton, Chanel, Delvaux and many more. It's a great opportunity to enjoy a little luxury. Ground-breaking concept stores have been finding their way to Antwerp for years. But what is it that makes a store a concept store? Stores that not only appeal to fashionistas but also design lovers, book lovers, foodies and hipsters. The latest include Mark and St. Vincents. Be sure to visit the established brands such as The Recollection, Your, Moose in the city, Stay and Atelier Solarshop. Many shops are open in the historic centre on the first Sunday of the month. You can find all the information you need here. 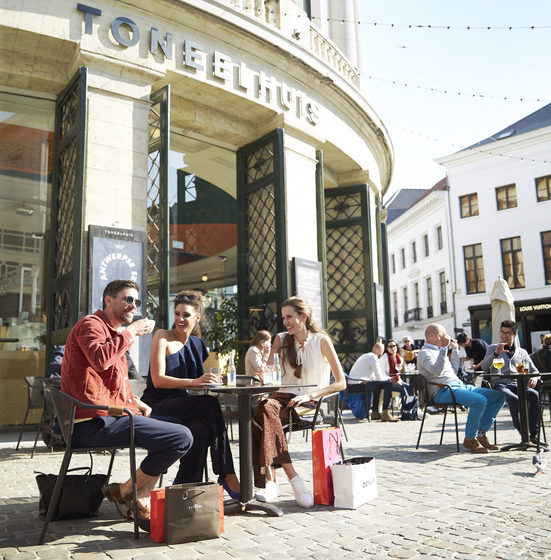 In Antwerp, we like to make time to enjoy food and a nice drink. We can really claim that everyone will find something to their culinary taste. Let yourself be inspired by the Antwerp locals and Antwerp lovers.